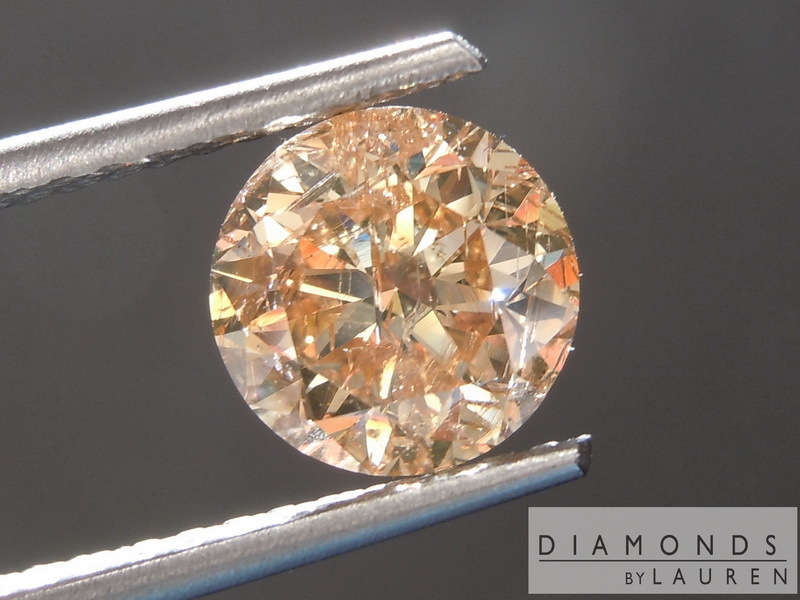 Here is a case where the imperfections may actually help the diamond. In person, in normal room lighting, you cannot really notice them. If I were you, looking at these pictures, I'd call BS on that. However, I am looking at the diamond as I write this - it is nighttime so I'm using a diamond light. It is very hard to see the imperfection. In direct sun you can pick them out. In either case, what you do notice is the really warm orangy brown color. 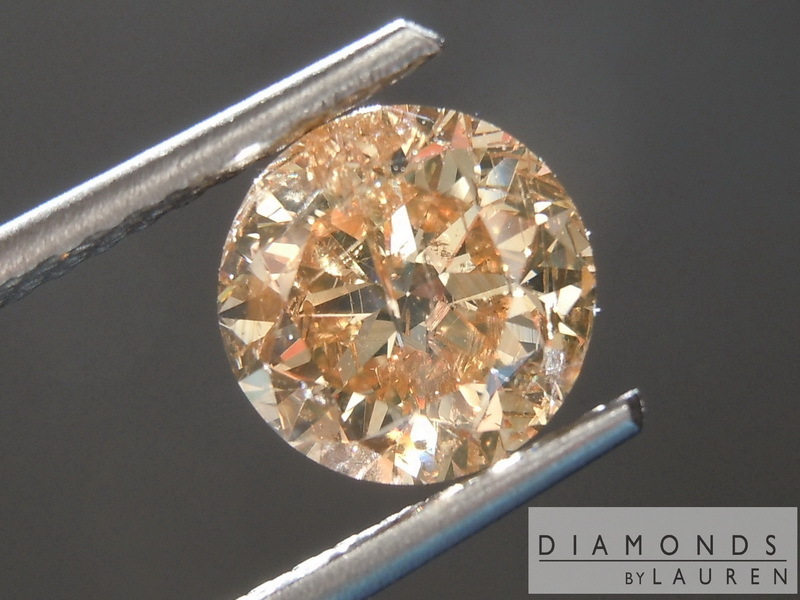 It is an exceptional stone in this regard. 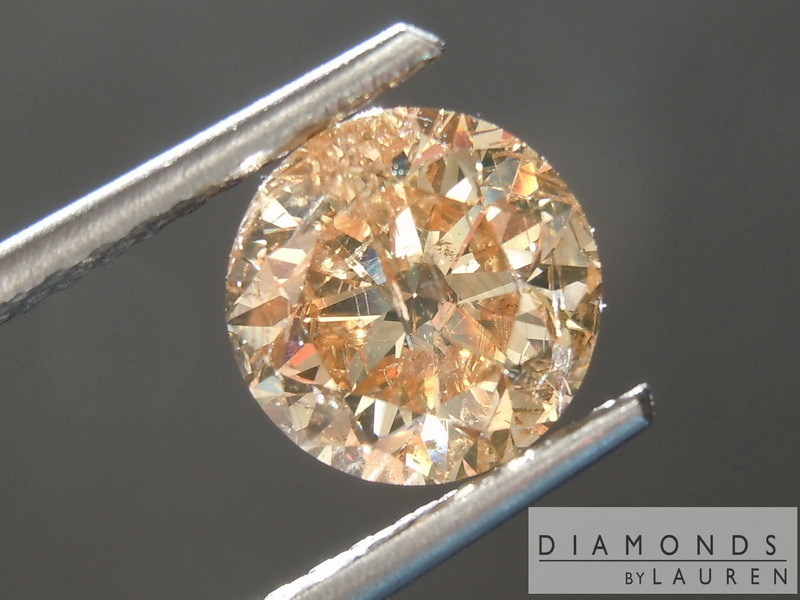 The diamond s nicely cut - I estimate a table in the high 50's. Due to the lovely cut, the sparkle is really nice. 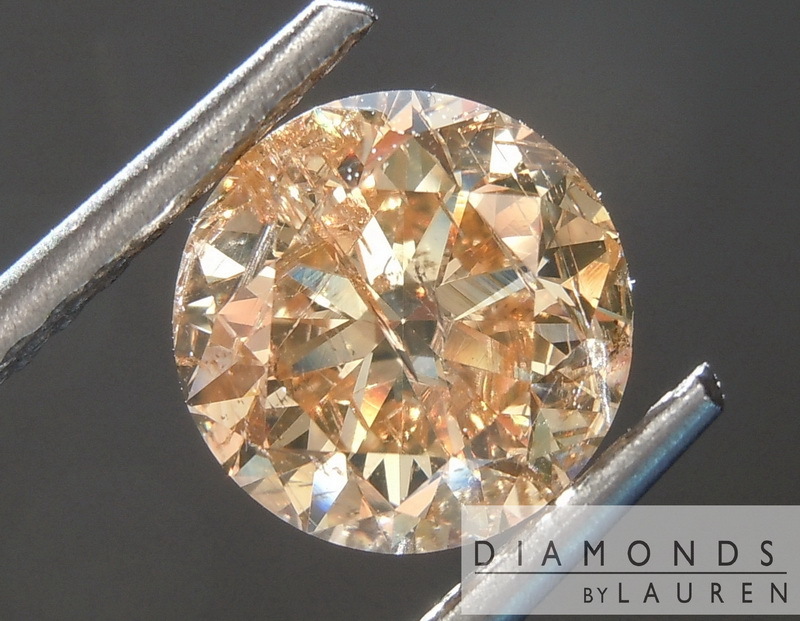 Although the diamond does exhibit strong fluorescence under a UV light, you don't really notice it in direct sunlight. The stone has really nice brilliance. 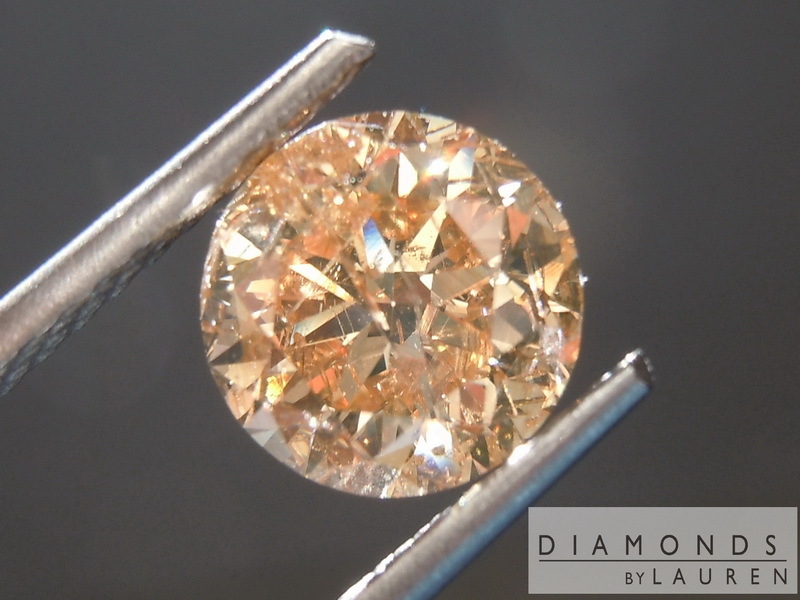 Also this is a very inexpensive 2 carat round diamond by any means.